Storytelling is an excellent way to care for the soul. Stories about what we’ve done. Personal Mythology allows us to re-imagine ourselves through discovering, recovering and understanding the power of our stories. Our personal mythology is not so much made up of our life experiences: childhood, puberty, young adulthood, etc. It is more our interpretation of those experiences which gives us information about who we are, what our world is made up of, and, our place in it. When we accept that this is true, we realize that we have a choice in how we wish to interpret our experiences. Those interpretations are often offered by family, religion, and our culture’s most popular form of communication: the media. There is little encouragement to creatively design your way of being. Conformity is the norm and the norm is to conform. For thousands of years human beings have created, maintained, nurtured and sustained a vital oral tradition through which personal and social values were communicated. We have seen the absence of this valuable cultural nourishment come about, in part, as a result of the industrialization of our Western societies. We are missing out on invaluable guidance and support. Now, with our global village, global technology, and a country made up of widely diverse cultural groups, we have an excellent opportunity to reclaim our own individual cultural roots as well as develop an appreciation and respect for the distinct gifts and wisdom of all the world’s people. Learn how to experience your life imaginatively through one-on-one Personal Mythology coaching. In my work, I have found a way to uncover the wisdom inherent in the ancient folktales. With repeated exposure to a particular tale, daily writing practices and opportunities for discussion and question, each of us can learn how to access wisdom encoded in the stories and found within ourselves. Playfulness and childlike openness is encouraged so that you can enter the world of story and find an endless source of imagery as well as your soul’s innumerable voices. The stories are the mirrors which when looked into reveal undiscovered aspects of your true nature. Over the course of repeated hearing, journaling and discussion of a story, you will discover its importance and its value. What stimulates, or irritates you may change – will change – because we change and grow. 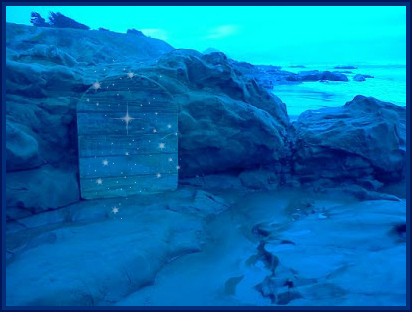 Each one of us may enter a story on a different level – through a different doorway. In this work no answers are given – the skill to ask the questions are encouraged and strengthened. Share your story with me today and we will get started!